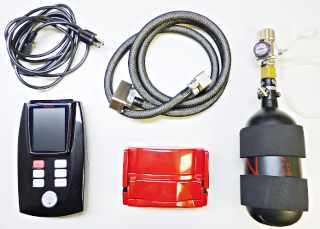 Explosion-proof fusion splicer optimized for on-aircraft repair and maintenance of fiber optic cables. This explosion-proof miniature modular fusion splicer can go anywhere – up a ladder, hanging from overhead cable bundles, or in the tightest of cramped access panels. Originally designed for the US Navy for on-aircraft repair of fiber optic cables, the splicer can splice within one inch of any obstacle, minimizing the need for cable slack. It can splice properly whether level, vertical, sideways, or even upside down. It has been proven explosion-proof for use in hazardous environments, particularly fueled aircraft. Its shielded enclosure renders it certifiable for EMC environments, both radiated and conducted. It is packaged to withstand all environments of MIL-PRF-28800. And with the low-profile sliding fusion cover it needs only minimal clearance from overhead obstructions. 12 volt operation - from battery belt, vest, or vehicle using cigarette lighter plug; 86 W peak. 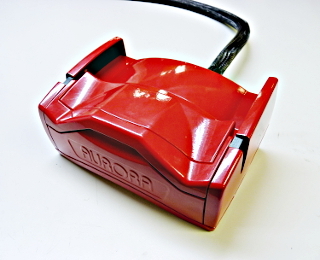 Visit our blog for the latest news from Aurora Optics!